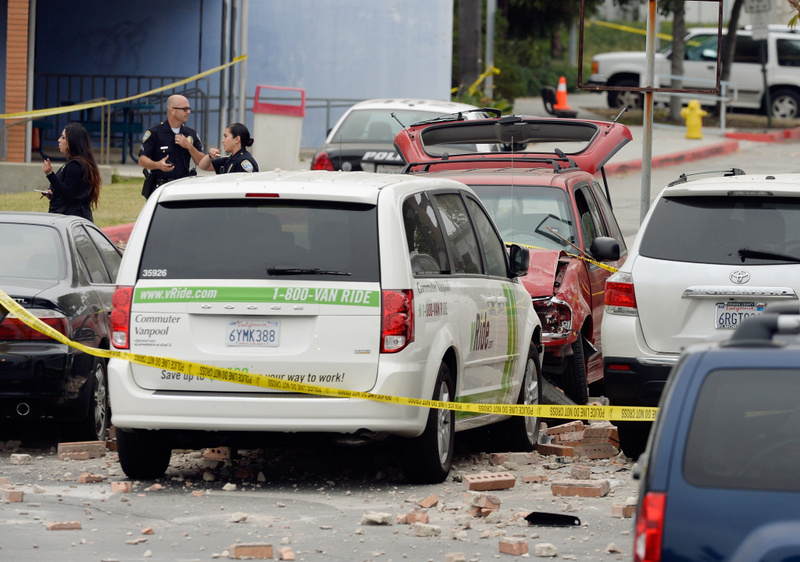 Law enforcement personal investigate the shooting scene where an SUV crashed through the wall of a parking lot and hit several cars across the street from the Santa Monica College. Despite seeking to reduce traffic fatalities by 20% this year with an ambitious plan for road safety, the latest data from LA’s Transportation Department shows that traffic related deaths spiked sharply in the first full year Vision Zero. 260 people were killed in traffic crashes on city streets, an increase of almost 43% over the previous year -- and that appears to be more than a one-year anomaly. We break down the numbers with KPCC’s Meghan McCarty and talk about some of the possible causes, from distracted driving to cheaper gas.